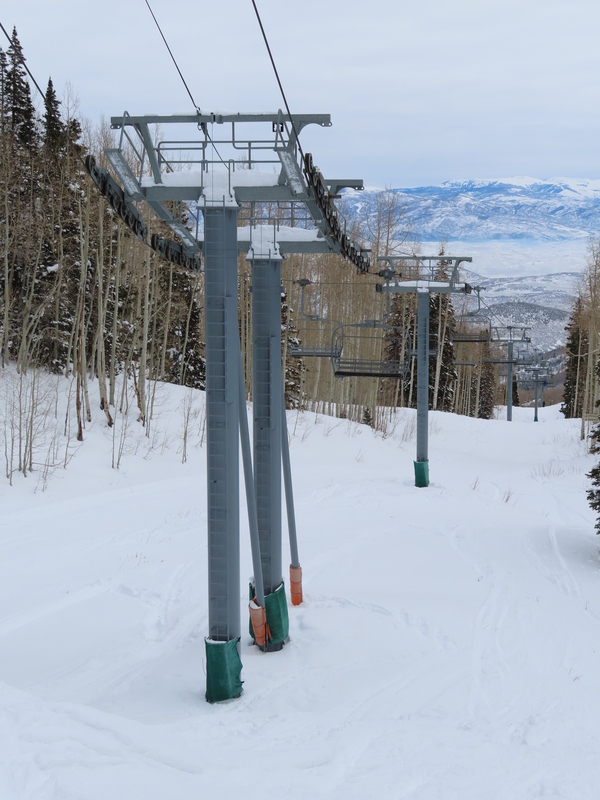 Another view up the line. 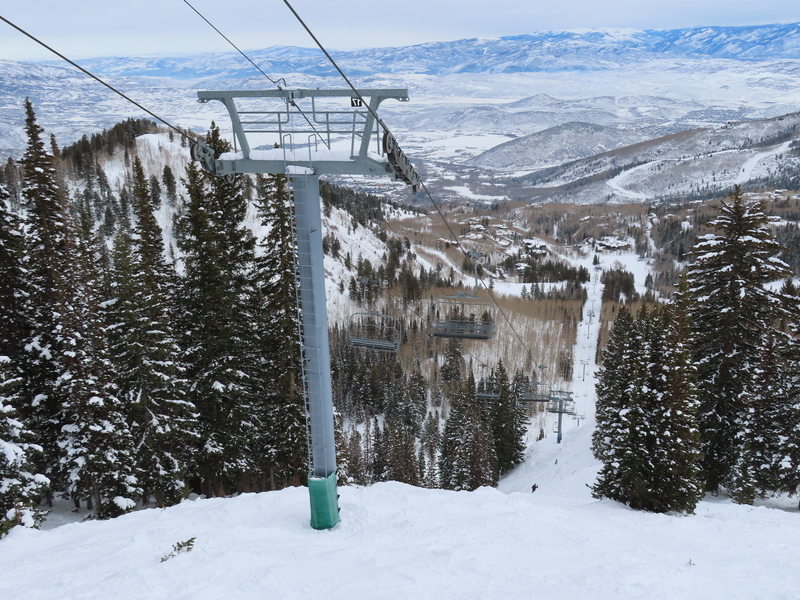 Looking back near the top. 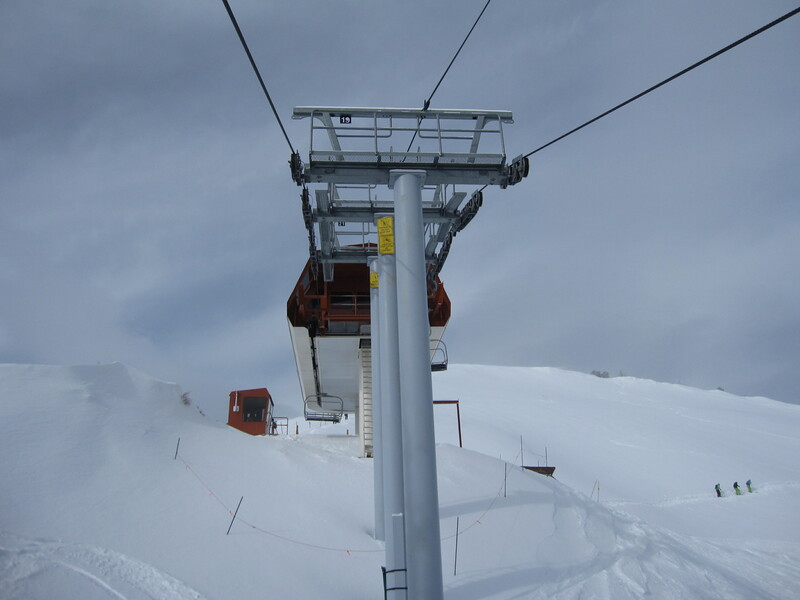 Chair parking rail behind the bottom shack. 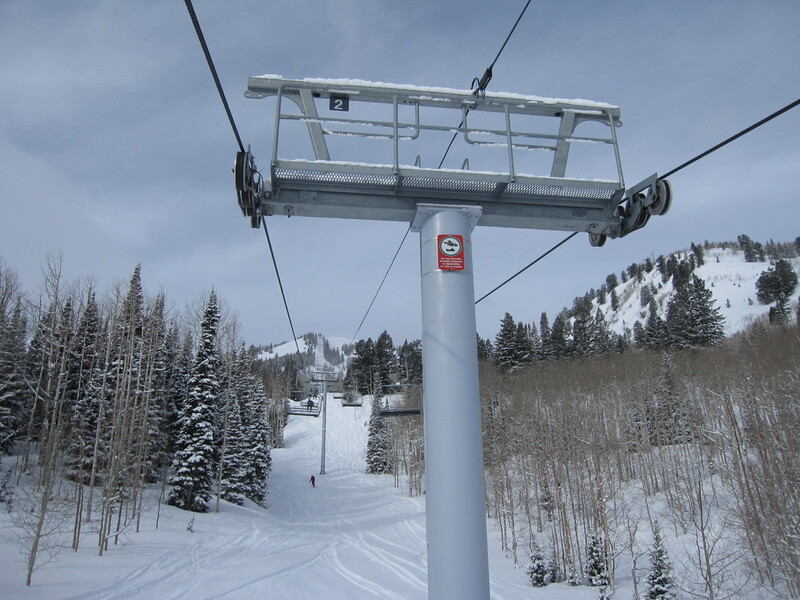 Because of the profile, there are a number of big breakovers on this lift. 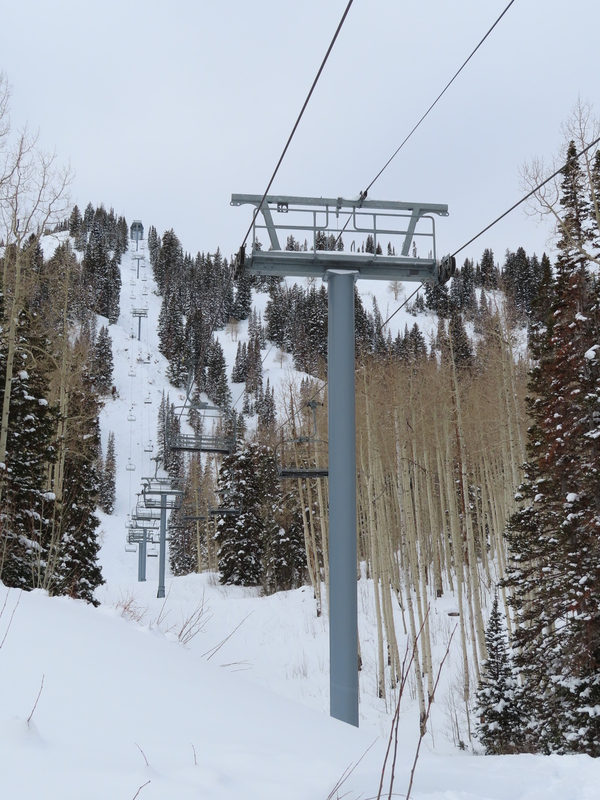 View up the steep part of the line. 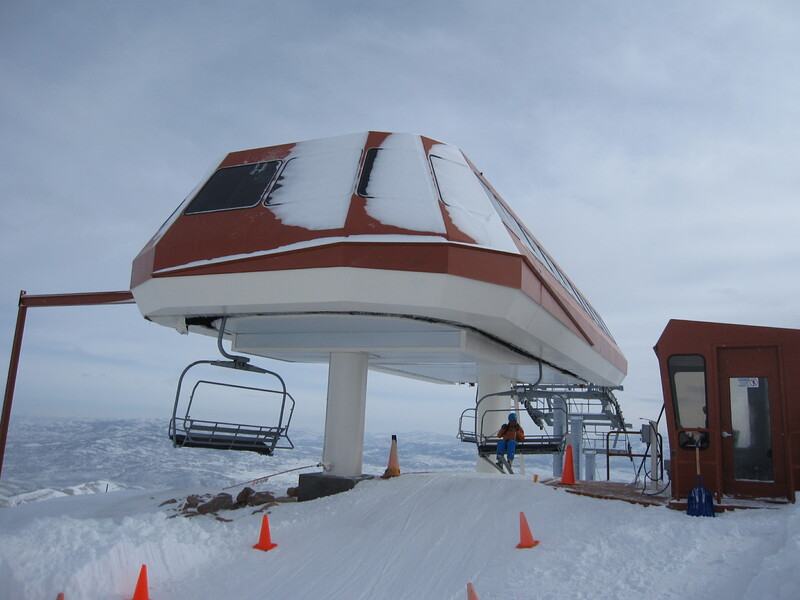 New paint job in 2018. 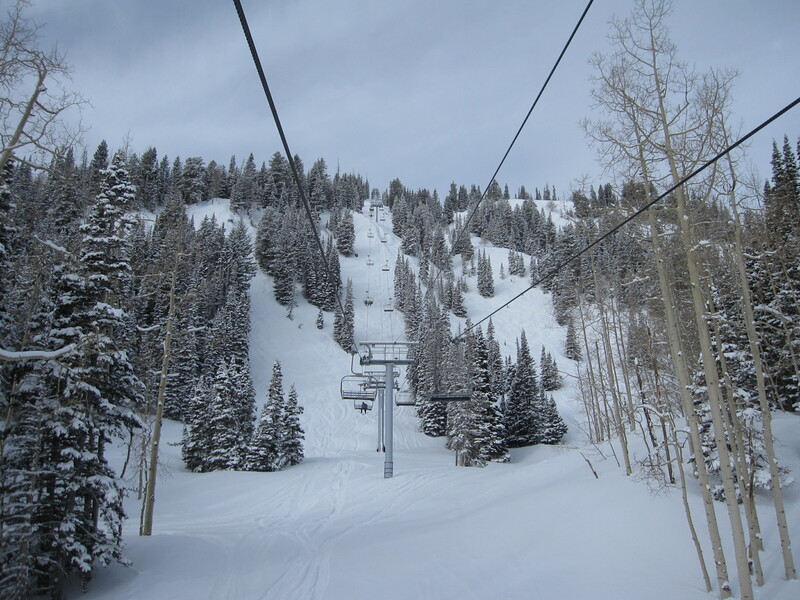 Another look up the line. 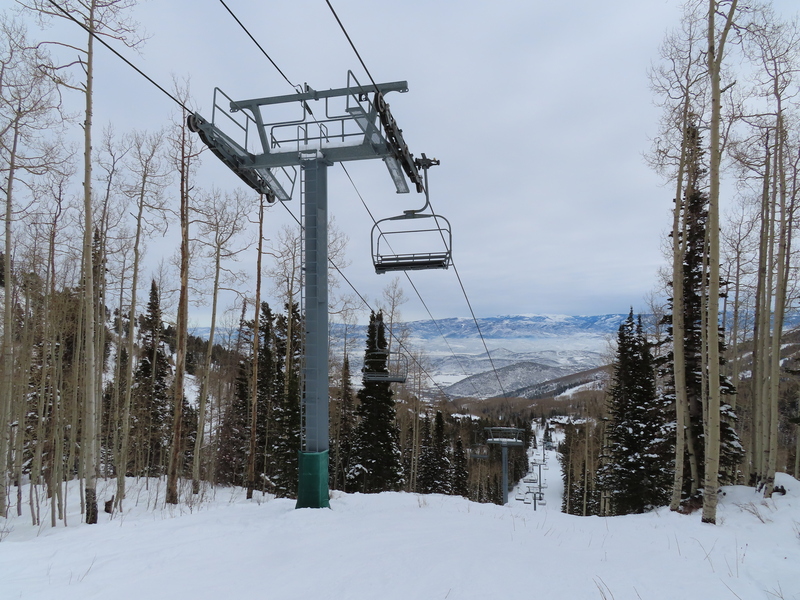 Did this chair get new paint? 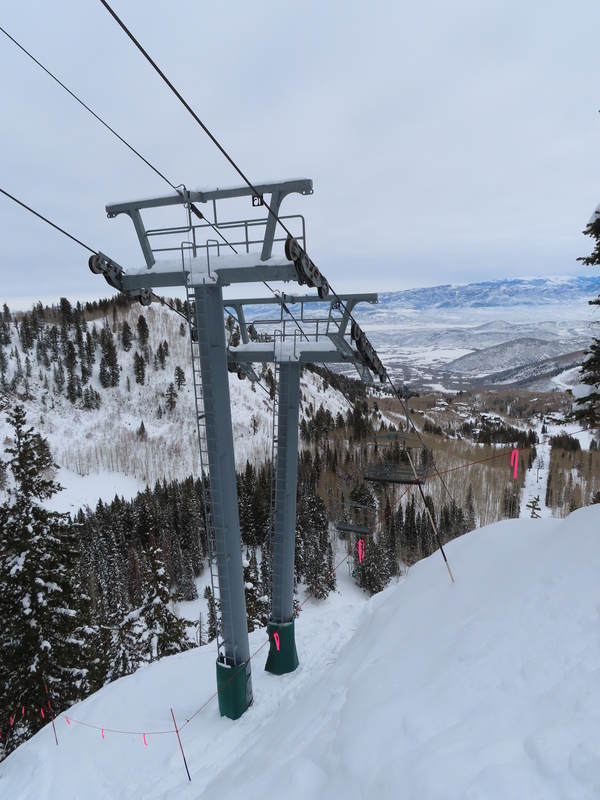 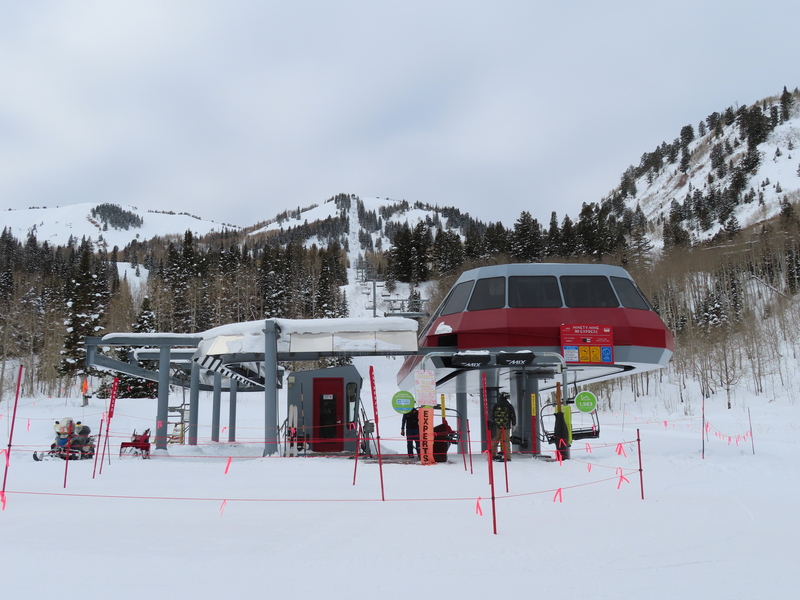 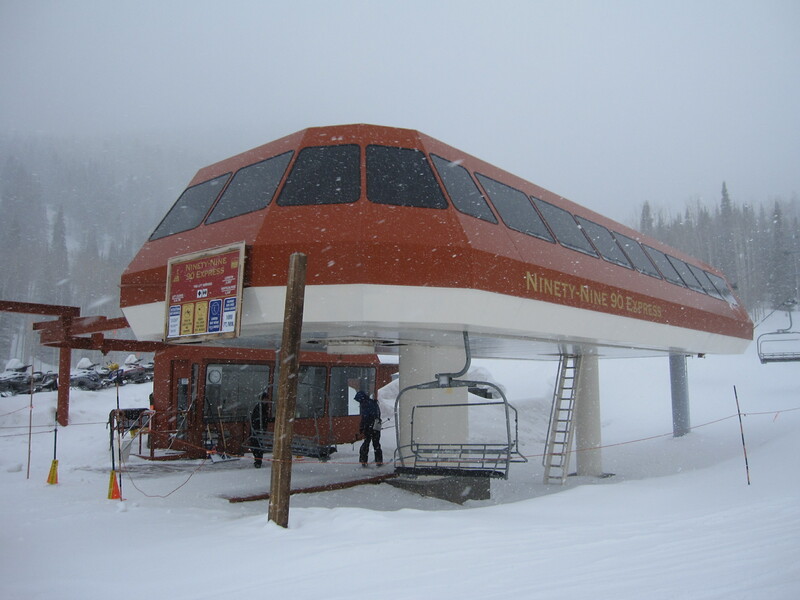 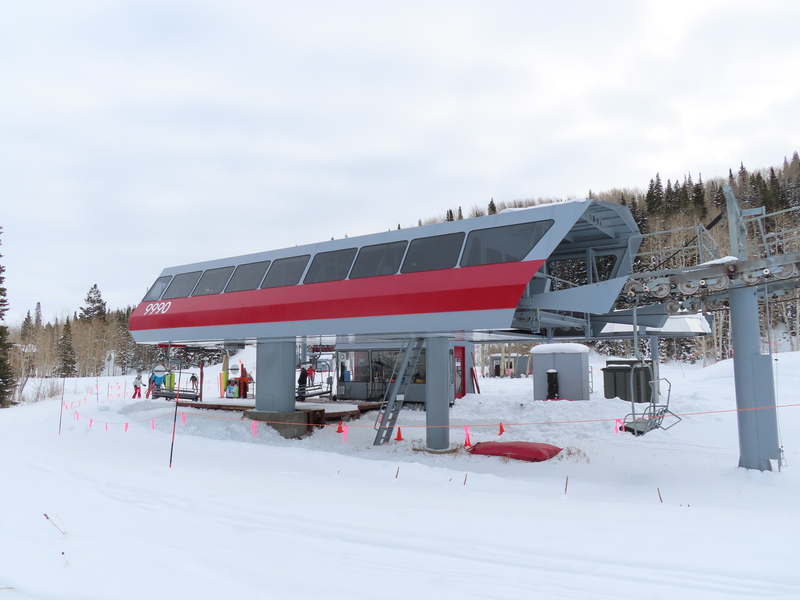 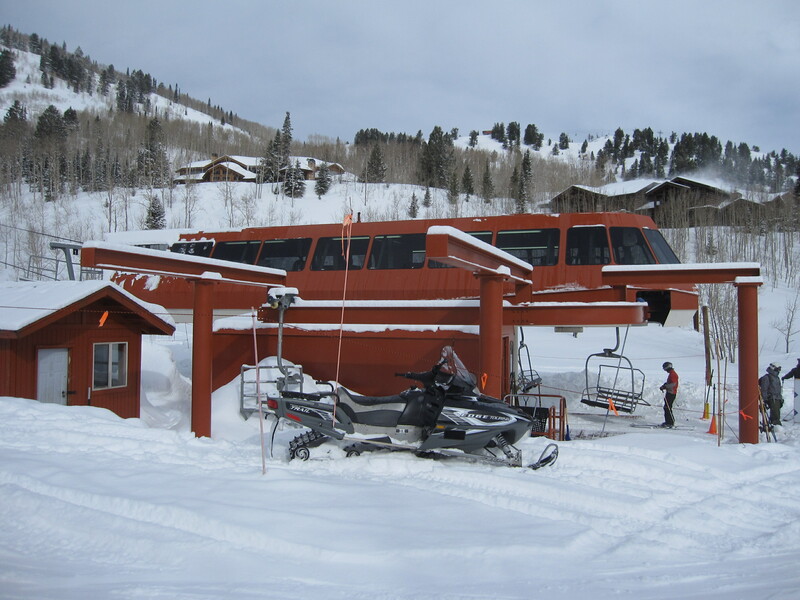 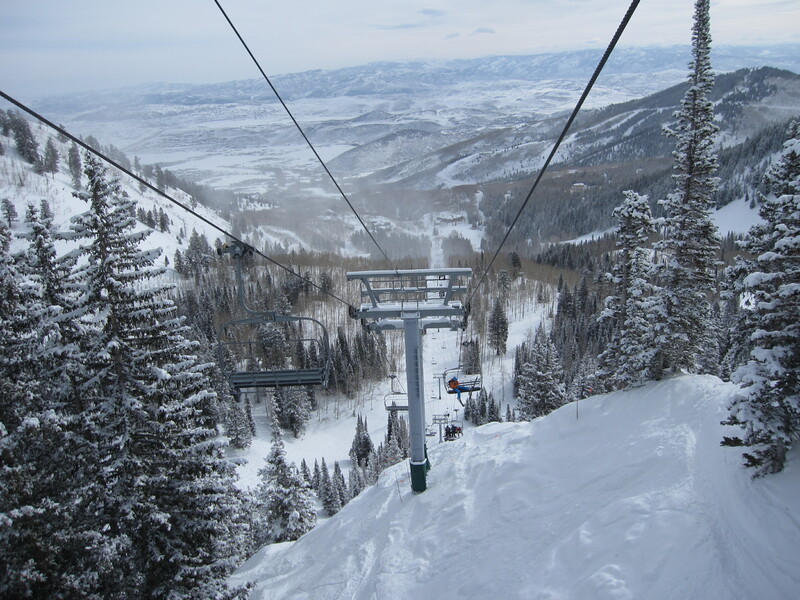 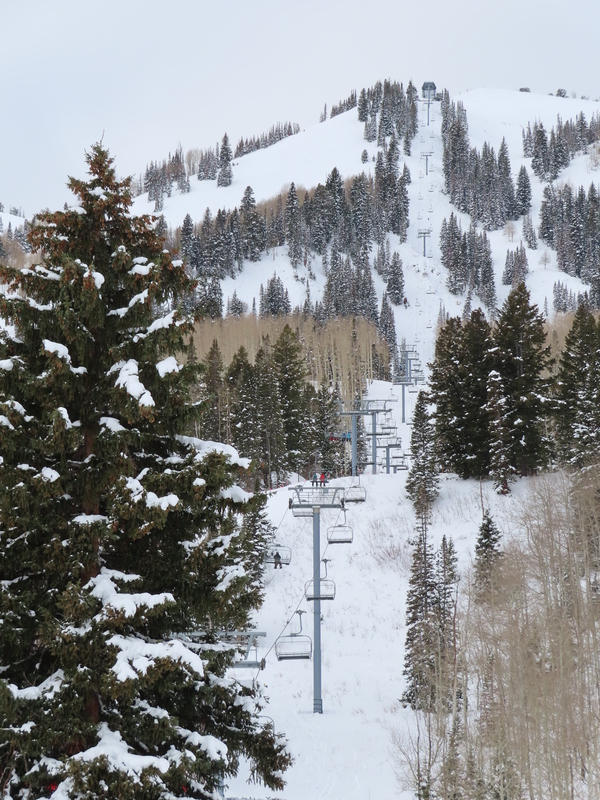 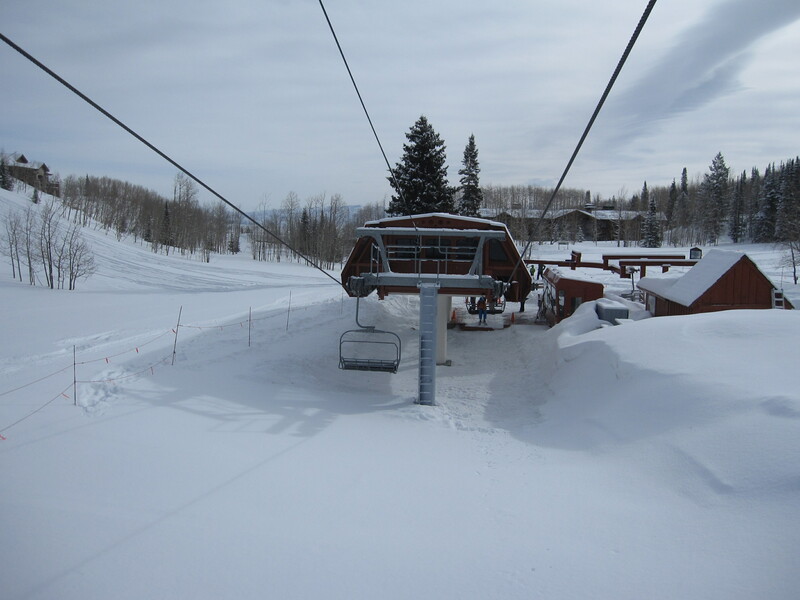 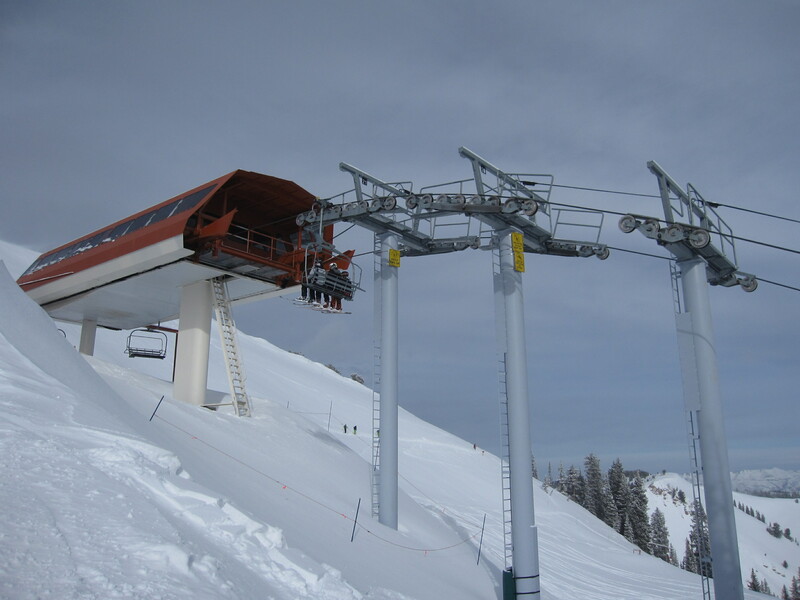 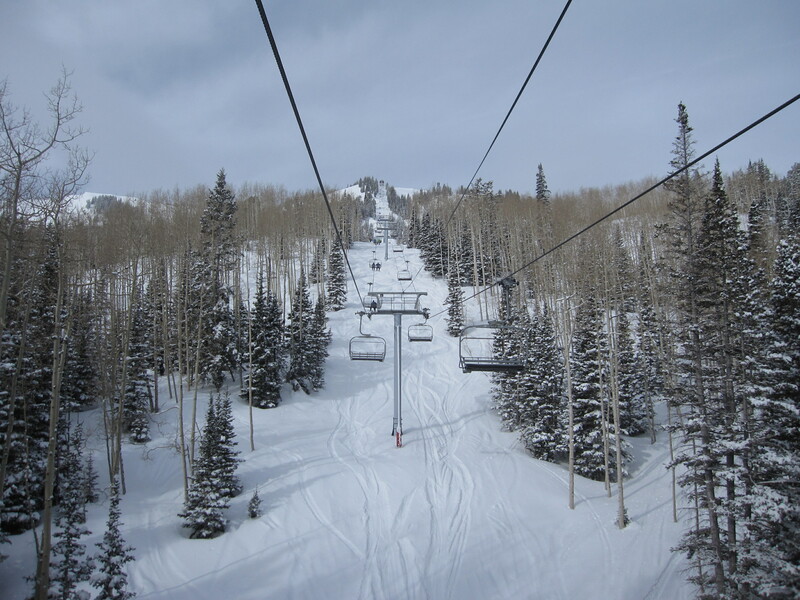 Most lifts at PCMR/Canyons have been repainted in a grey/red theme after the Vail acquisition. 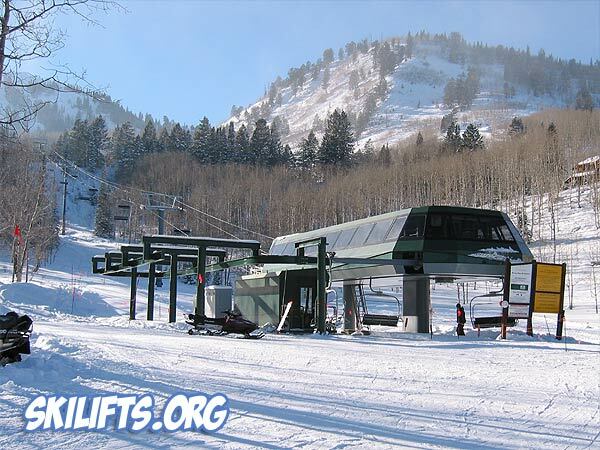 It’s interesting to see the carrier parking rail has been cut by more than half than when this lift was installed.